The HydroTex XTL fabric offers versatile light shelter that can be used with our telescopic poles, walking poles or in a wide variety of ways limited only by imagination - as a front or side tent extension or on its own as an ultralight shelter. Light durable guylines are attached to strong webbing loop hangers along the straight sides, reinforced to take punishment in the most trying conditions. Robens Xtra Lite - ultra lightweight tents using the latest fabric technology in designs to cut weight and packed size even further. Backpackers, cycle-campers and kayakers will all benefit from the ease and speed of pitching a safe shelter; Xtra Lite means freedom for outdoor enthusiasts travelling fast and light worldwide. The new models build on the success of the Mythos with three extremely light models ensuring reliable shelter for two people. Attention to detail to achieve lighter weight without compromising performance is evident throughout. New for 2012 is environmentally - friendly anodised DAC poles and light weight DAC aluminium pegs. 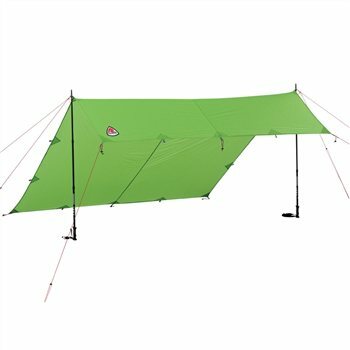 We use DAC Green Anodizing poles for our Xtra Lite tents. These poles are produced in an environmentally safe and responsible process, without nitric or phosphoric acid normally associated with the anodizing process. Water consumption is greatly reduced by rinsing with recycled water. We highlight these environmentally friendly poles as DAC GA in our specification panels. High performance HydroTex XTL is an outstanding, strong, hardwearing ripstop fabric that guarantees performance in the most demanding conditions faced by outdoor adventurers. Developed further for 2012 with an even lighter 20 denier yarn, the outside of the fabric has a superb silicone coating that shrugs off the elements whilst the inside is coated with polyurethane for durable waterproof performance and the facility for seams to be sealed with reliable heat-taping. The combination of advanced coating technology and modern manufacturing ensures we can offer the lightest great value tents possible.